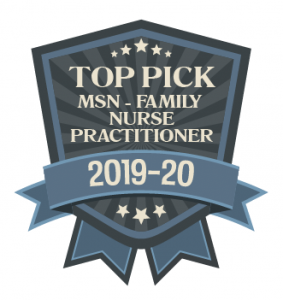 The Master of Science in Nursing (MSN), with Family Nurse Practitioner specialization (FNP) program at University of St. Augustine for Health Sciences (USAHS) was selected as a top pick by GraduateNursingEDU.org for its annual list of best programs, the website announced. “GraduateNursingEDU.org did an exhaustive review of every fully accredited MSN-FNP program in the country, looking for schools that offer an exceptional student experience. When we came across the University of St. Augustine for Health Sciences’ School of Nursing, we knew we had a program we could feel good about recommending,” said the site’s senior editor, Tony Smith. “With world-class faculty, flexible scheduling options and opportunities to study abroad in Italy, University of St. Augustine easily earned its place on our list of Top Picks for the Best MSN-FNP Programs for 2019-20,” Smith added. “Our program is an outstanding choice for mid-career professionals looking to take their next big step. Flexibility is key to what we offer at USAHS. Another aspect of flexibility is your ability to select your preceptor and the facility for your practica, so you can do the practica in your own community if a qualified preceptor is available,” Dr. Dennison said.